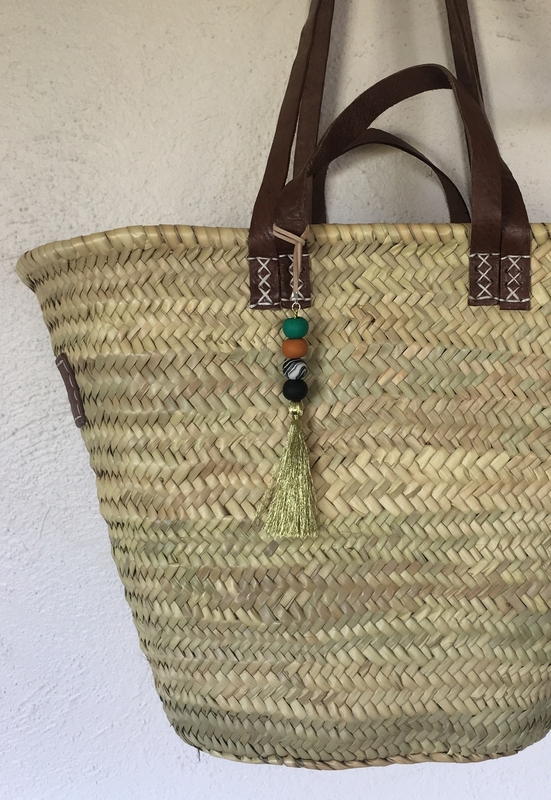 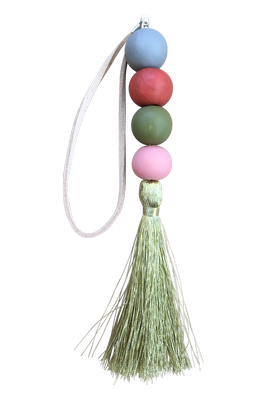 These Beaded Basket Tassels are handmade by Little Spoon, a local Australian business. 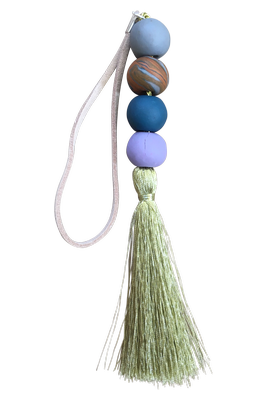 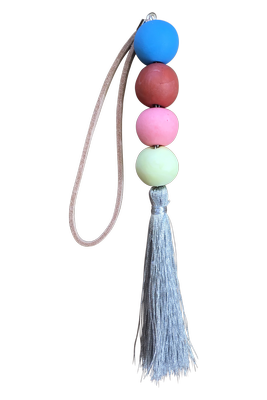 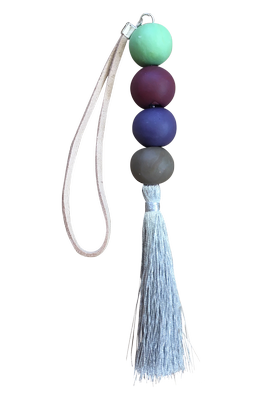 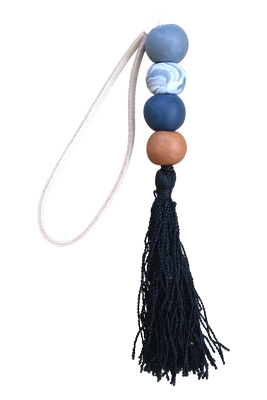 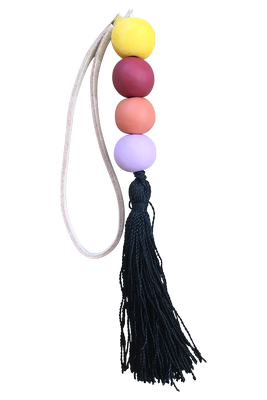 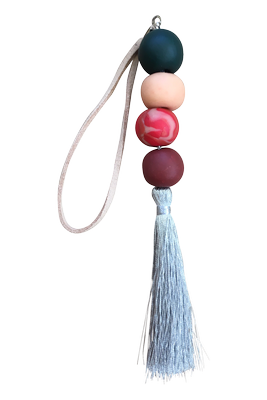 Each bead is hand-rolled from polymer clay, attached to leather rope, with a large tassel hanging from the bottom. 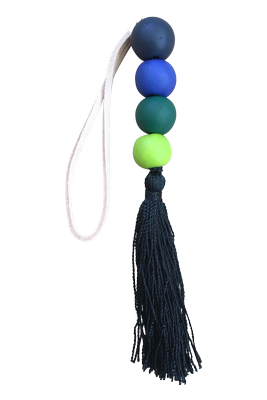 With no fiddly clasps, these keychains simply loop through themselves to easily hang from your basket's handle. 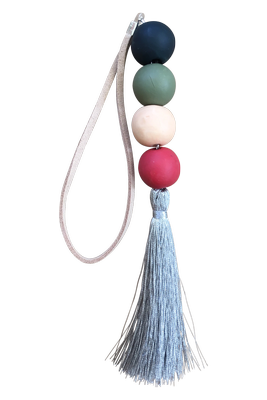 Each tassel is lovingly handmade, so imperfections are to be expected and cherished. 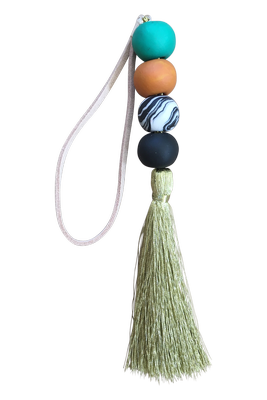 Your tassel will be truly one-of-a-kind!